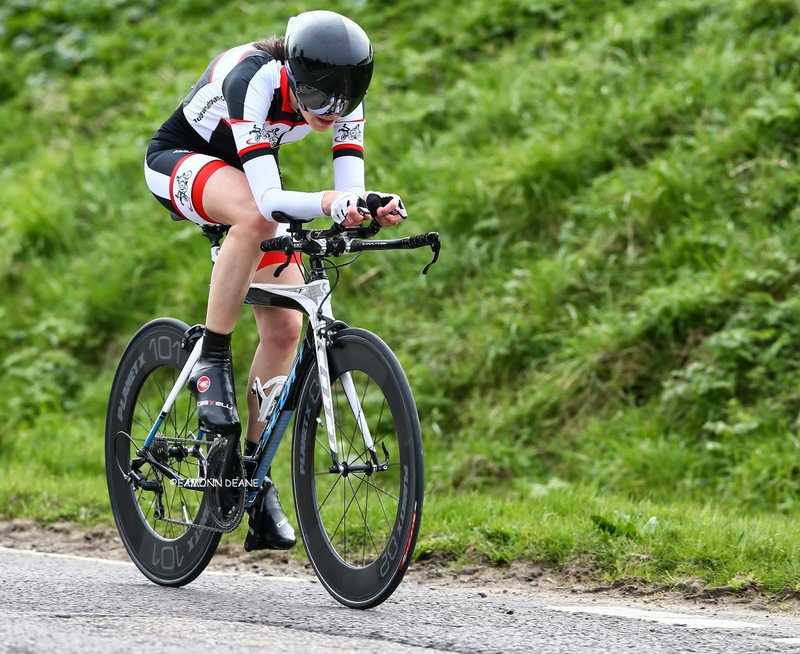 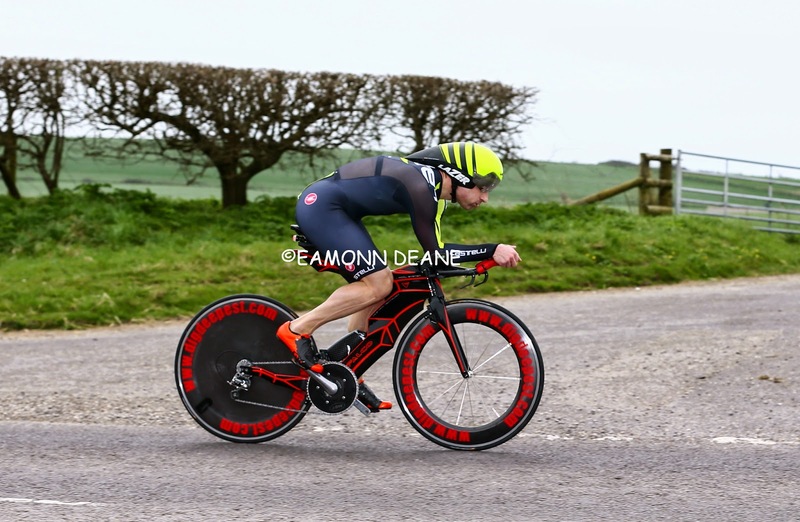 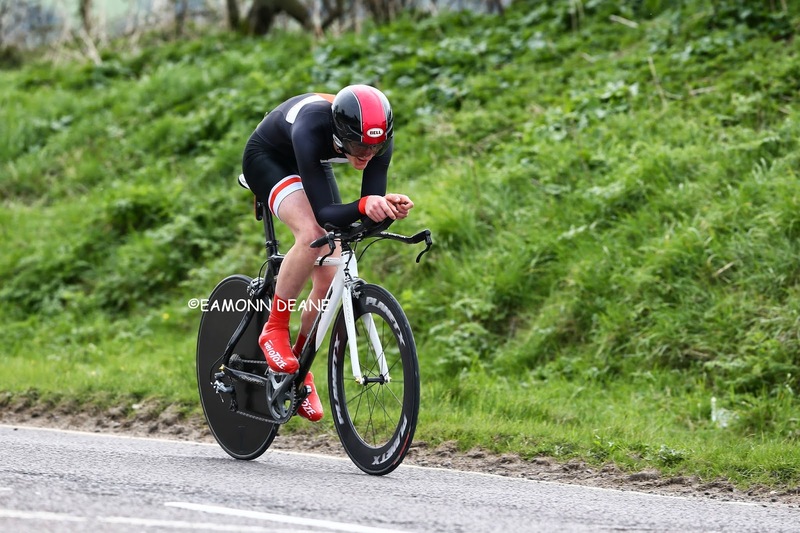 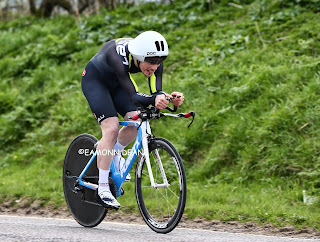 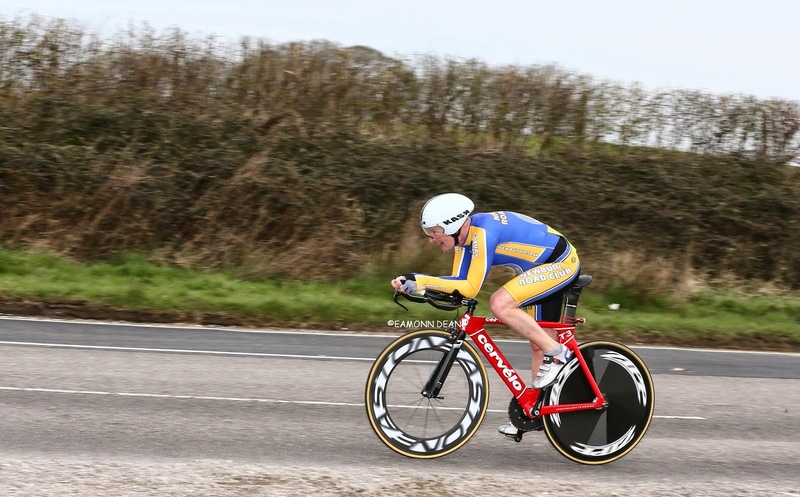 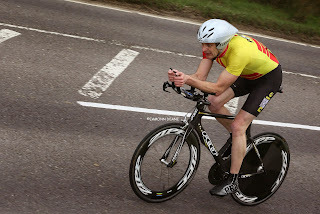 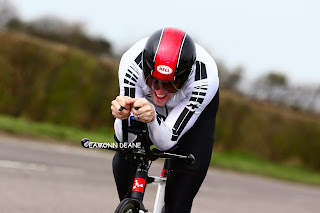 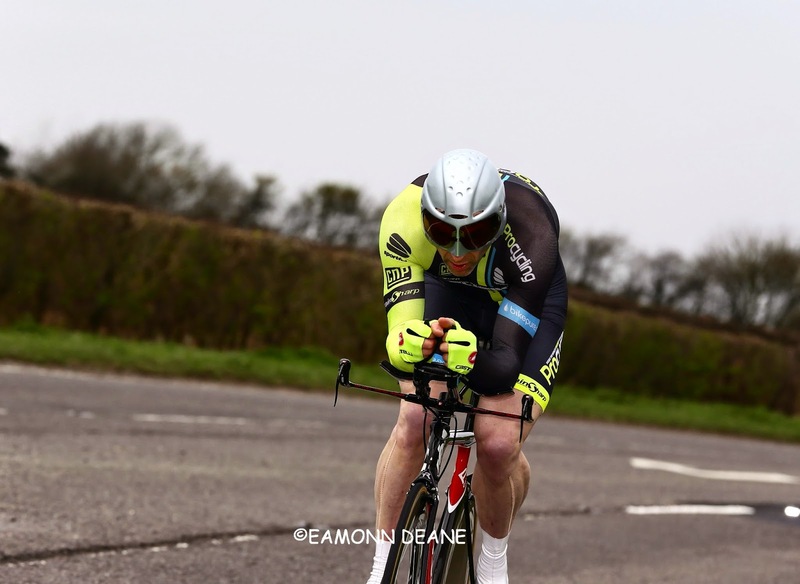 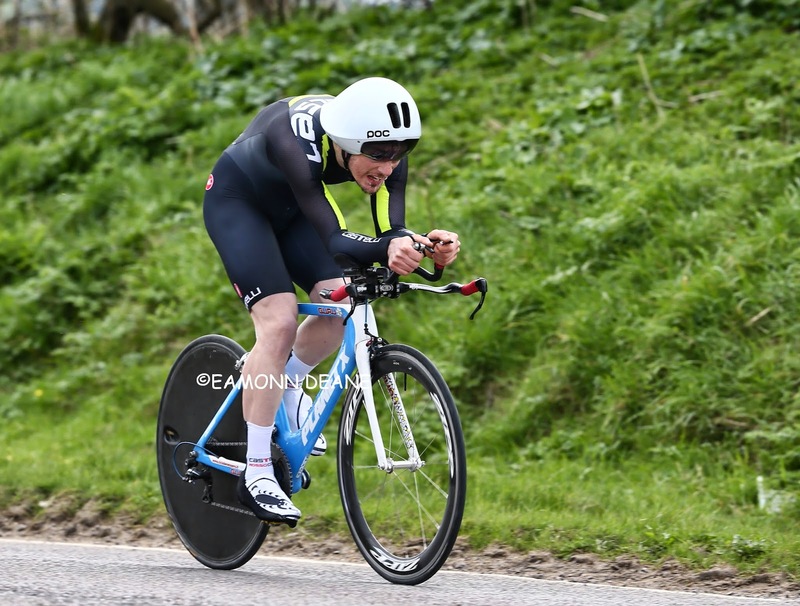 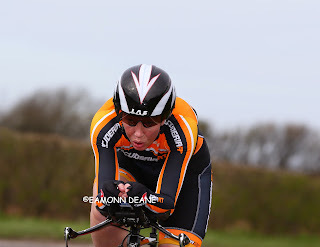 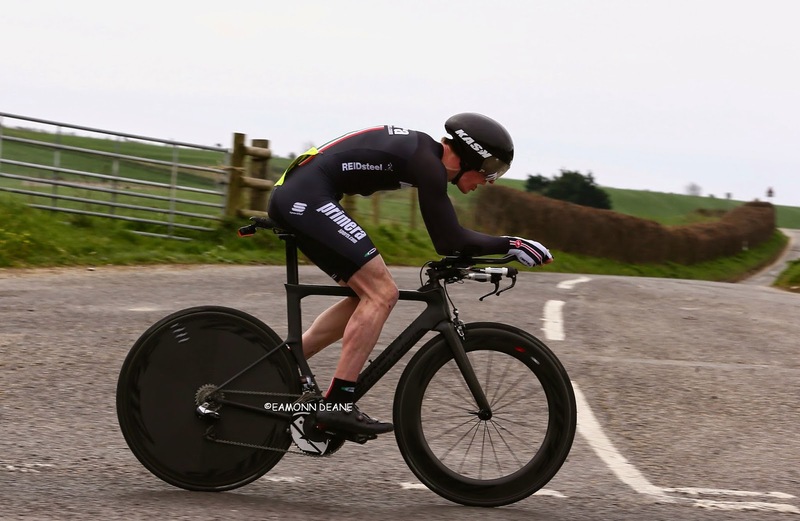 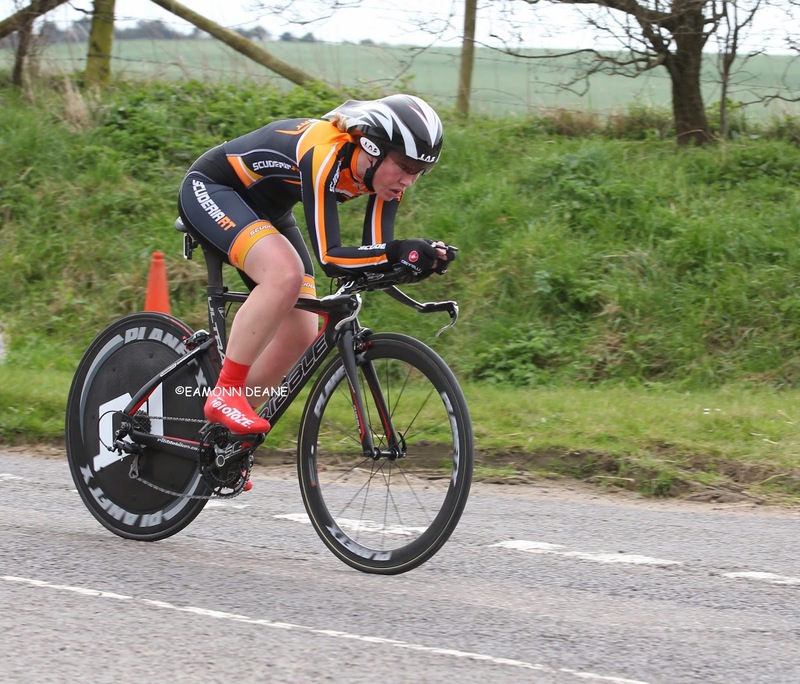 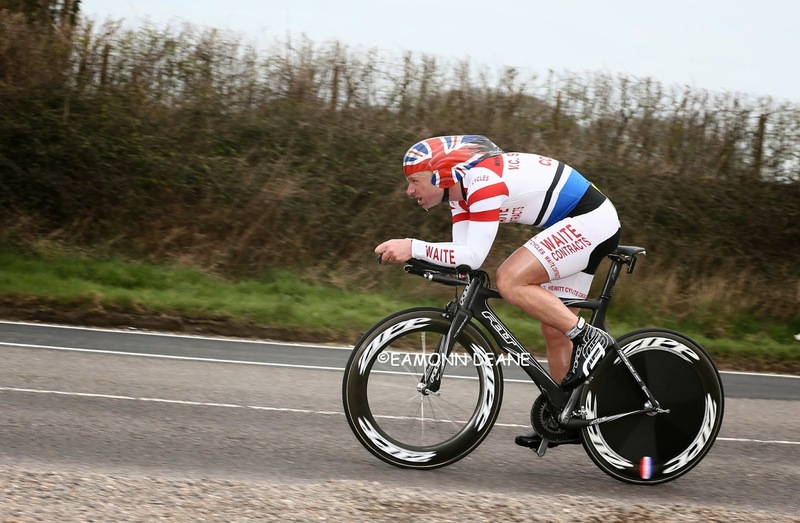 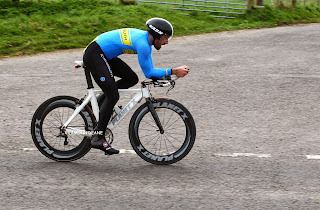 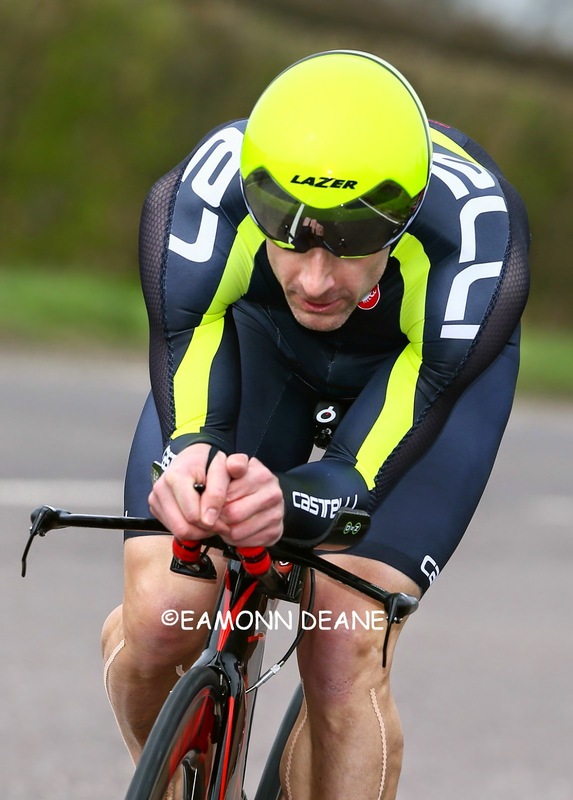 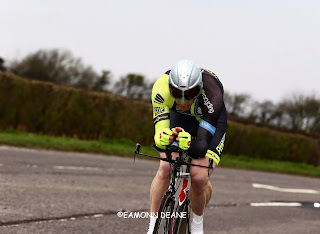 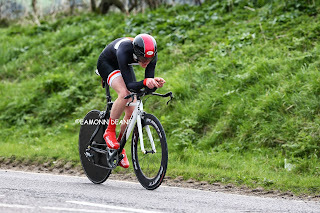 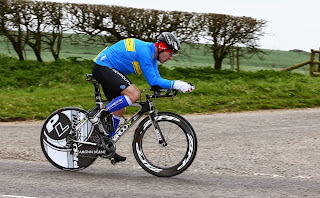 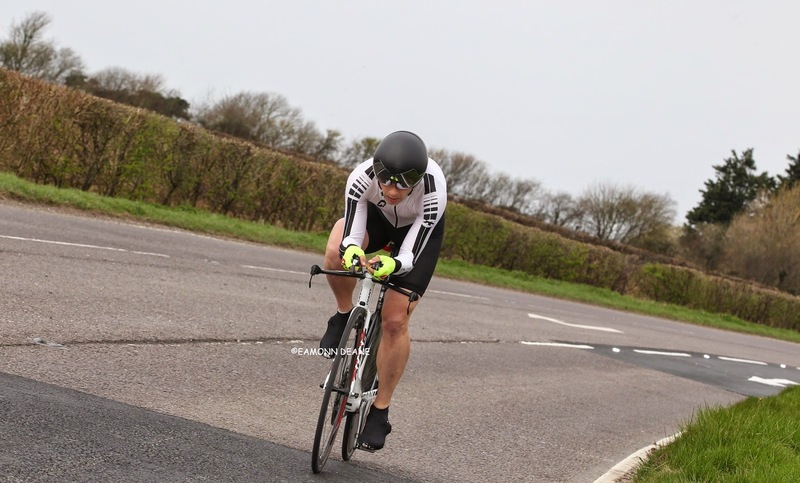 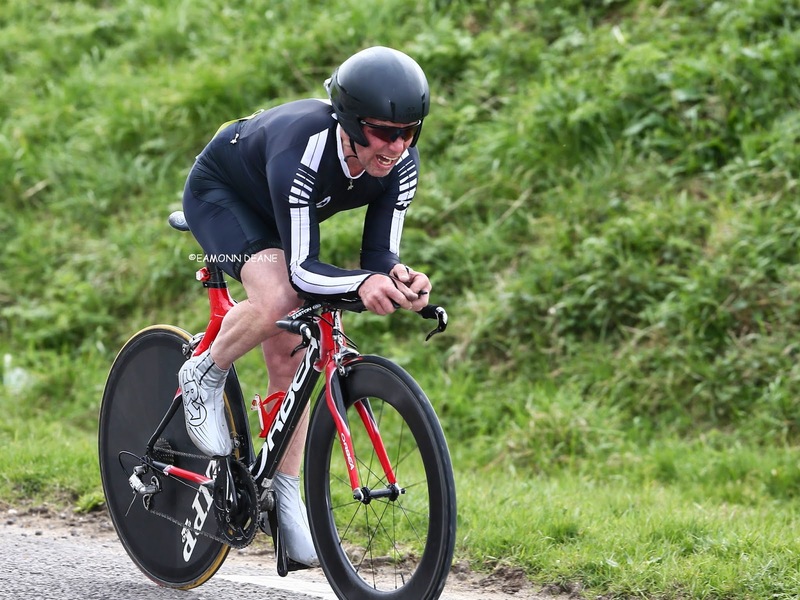 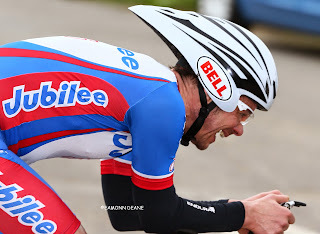 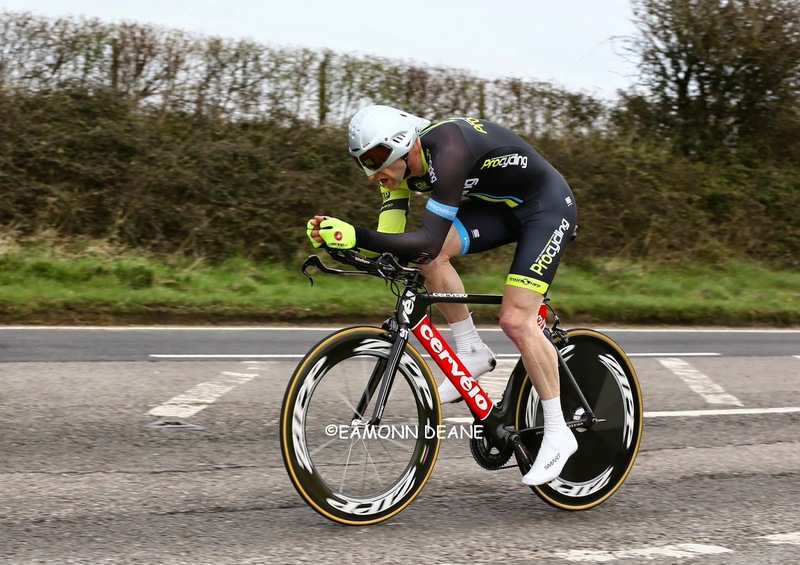 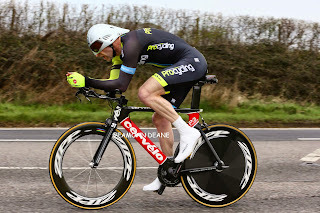 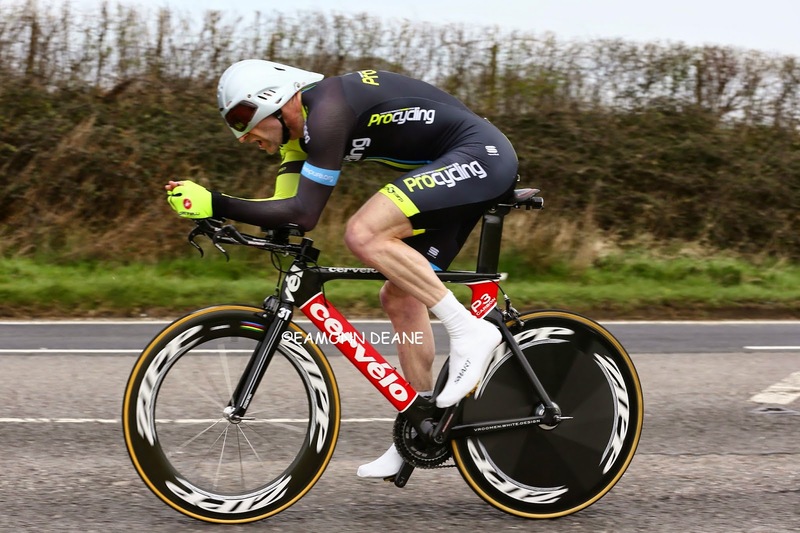 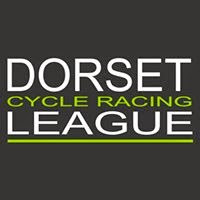 Adam Topham (High Wycombe CC) duly won the CC Weymouth Easter Sunday 10, knocking out a 20:13 on the P451 Winfrith-Owermoigne course in Dorset. 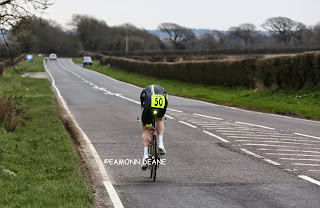 A few seconds slower than last year and no £200 prize for a sub 20 mintue ride, something to do with temperature and high pressure? Tophams analytical approach to performance divides opinion, power data, heart rate levels & controlled intervals leave little time for fanciful daydreaming along quiet country lanes. “It’s all turbo, I do twelve hours training a week, if I did that on the road it would be worth about eight hours, I only cycle to race! 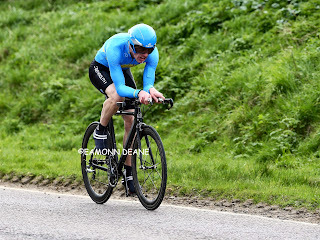 The one single reason I ride a bike is to race, I only do it for the competition.” Career and family dictate to a certain extent but you suspect Topham would do the same even if he had all day. 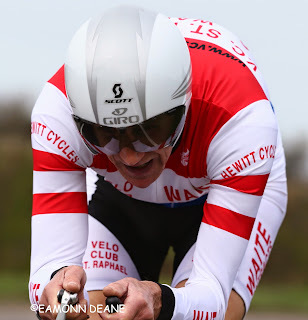 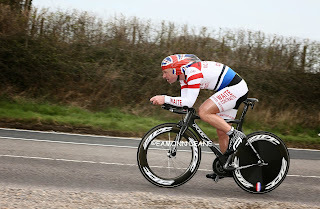 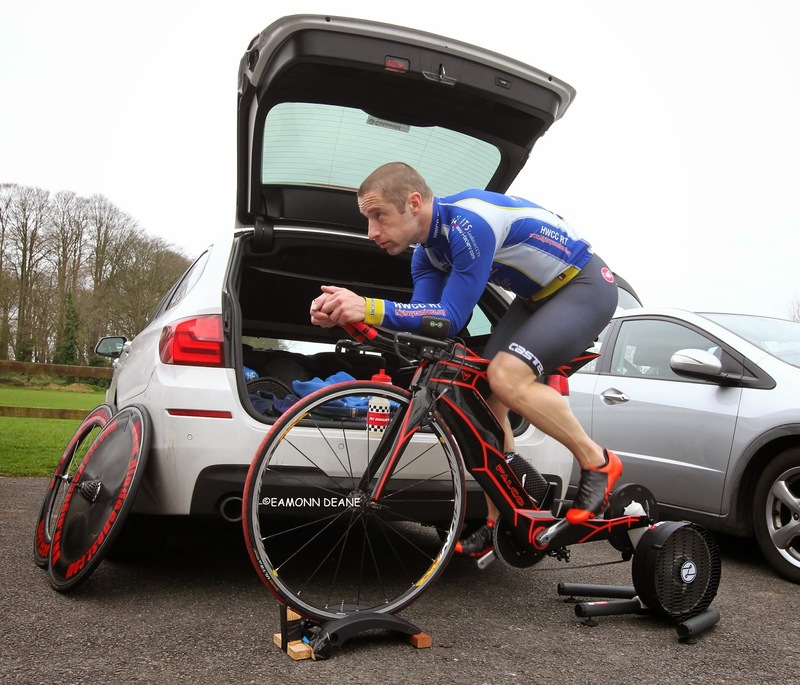 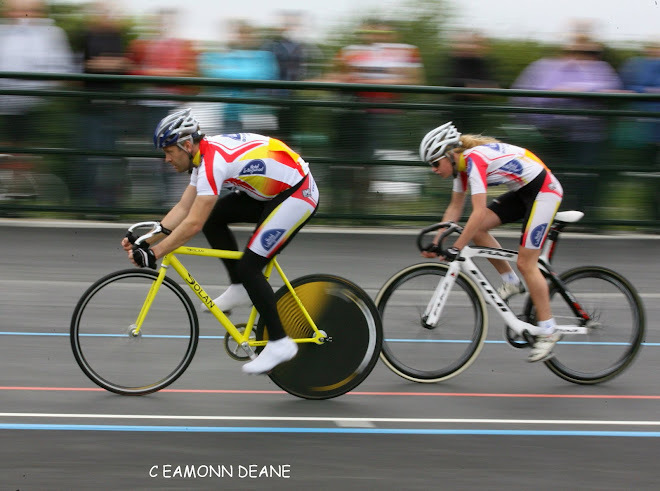 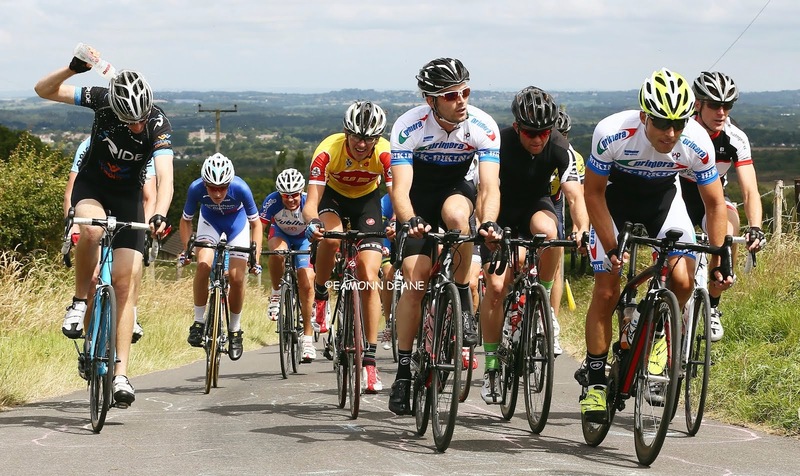 Third place Rob Pears agrees: “I do all my quality on the turbo, everything is controllable, I like the download! I like the pretty graph, it motivates me, if I fail and look at the graph afterwards I think I could have just dug in harder, I can push myself beyond belief! 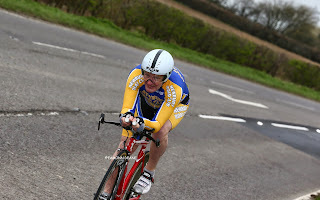 says the 52 year old. Purists may scoff, what is beyond question however is the efficacy of the approach, Topham will race just 15 times this season, will win all that matters including the British Best all-Rounder title and be done by early September. 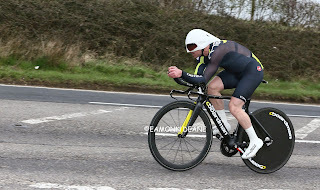 Sandwiched between Topham & Pears was Good Friday winner Matt Burden with 20.37, Graham Moir (Royal Navy & Royal Marines CA) also scraped inside 21 minutes on a still morning that offered little.